Rafe comes back from another mission as army consultant, where he was undercover to track and shut down a scam of corruption while he plans his revenge, gathering information against the doctor who played God with Rafe's life a few years back. When he comes back home and is ready for another mission, he finds Janie, the girl he saw growing up and who became a beautiful woman, and from who he ran away since forever. But now, even trying keeping himself away, it's almost impossible to resist the temptation when she's around. But their paths would need to wait a little more because Rafe dives deep into his new assignment. The problem is that Janie's lover suffers an accident and ends up forgetting the last six months. From day to night Janie became nothing more than a acquaintance to Rafe, breaking her heart... But what they didn't expect was the dangerous from Rafe's revenge would be so deadly. If you like a hero who suffers a lot but does not let the adversities break him, Rafe is your guy. His character goes to hell on earth as consequences of his father's actions, who used to steal money from good people... 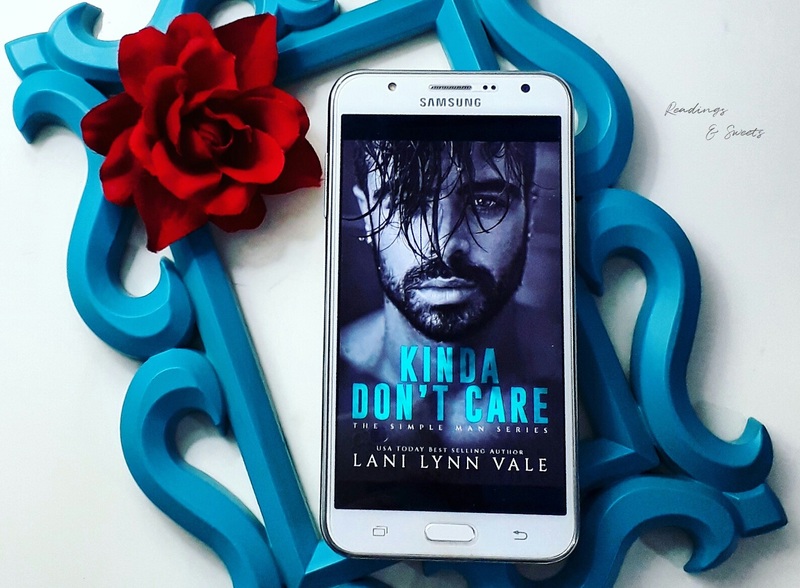 Even on his military career he wasn't safe from that, and though having a good friends and colleagues, Rafe lives away from them all... Janie is the only constant in his life but Rafe knows he needs to avoid her the best he can. But you guys know how heart works, right? Sometimes we just don't have a choice. Besides that, if you like a military romance that has a little bit of drama, hard rock heroes from outside but sweet and soft as marshmallow from inside, girls who knows how to take care of themselves and 'kinda don't care' about the age gap between the main characters, this is a book you should read. So, as you noticed, this is the first book of a series... This far, 'Simple Man' has a total of 5 books, but only the first is live. You can also check this review in portuguese here.